A true account of a turning point in medieval history that shaped the modern world, from "a superb storyteller" and the author of When Jesus Became God (Los Angeles Times). Europe was in the long slumber of the Middle Ages, the Roman Empire was in tatters, and the Greek language was all but forgotten -- until a group of twelfth-century scholars rediscovered and translated the works of Aristotle. The philosopher's ideas spread like wildfire across Europe, offering the scientific view that the natural world, including the soul of man, was a proper subject of study. The rediscovery of these ancient ideas would spark riots and heresy trials, cause major upheavals in the Catholic Church -- and also set the stage for today's rift between reason and religion. 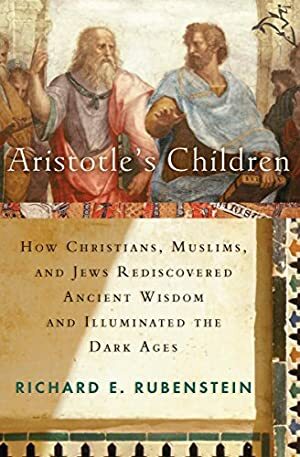 Aristotle's Children transports us back to this pivotal moment in world history, rendering the controversies of the Middle Ages lively and accessible, and allowing us to understand the philosophical ideas that are fundamental to modern thought. Log In to track Richard E. Rubenstein on eReaderIQ. to be notified each time the price drops on any book by Richard E. Rubenstein. to stop tracking Richard E. Rubenstein. We started tracking this book on January 19, 2011. The price of this book has changed 48 times in the past 3,013 days. The current price of this book is $10.99 last checked 15 hours ago. The lowest price to date was $1.20 last reached on March 1, 2019. The highest price to date was $13.17 last reached on April 3, 2012. This book has been $13.17 one time since we started tracking it. We last verified the price of this book about 15 hours ago. At that time, the price was $10.99. This price is subject to change. The price displayed on the Amazon.com website at the time of purchase is the price you will pay for this book. Please confirm the price before making any purchases.